Conceived as "a gallery within the gallery", the collection of portraits put together by Pavel Mikhailovich Tretyakov (1832-1898) is a landmark of Russian culture originating from the second half of the 19th century. Every researcher who has ever written about the collecting activities of the gallery's founder has touched on the subject. A seamless ensemble, Tretyakov's portrait gallery highlights milestones in the evolution of Russian portrait painting in the 19th century, with Tretyakov both an initiator and accelerator of the process. Many collectors who worked in the same period as Tretyakov, like Fyodor Pryanishnikov, Vasily Kokorev and Kozma Soldatyonkov, included into their collections painted and sculpted images of renowned personalities. Yet Tretyakov's assemblage of portraits was on an unprecedented scale — his collection included paintings, drawings and sculptures featuring images of Russia's great cultural figures. Putting together the collection, Tretyakov commissioned portraits from artists, purchased pieces at exhibitions, searched for or, to use his expression "procured", exchanged, bought works from private collectors and antique dealers, and negotiated with relatives and close friends of the individuals that interested him when such images were the property of those concerned. Tretyakov did not want to have all images accomplished by one painter, "one brush", so he made sure to commission a wide variety of artists: from well-known and already-acclaimed masters to young artists with little experience, thus stimulating new undertakings and giving an opportunity to little-known young painters to show off their talent. From the very beginning Tretyakov was keen on diversifying his collection both in terms of artists engaged and in terms of their sitters. An individual of relatively few words, Tretyakov left behind several succinct definitions of his "creation". In his own words, his gallery was made up of the portraits of "Russian writers, composers and, generally, personalities from cultural and academic circles"1. Indeed, the writers' and poets' portraits greatly outnumber all the others. In the same letter of 1870, a period when he was just starting off on his project, he emphasised the importance of portraits to him: "My collection — paintings of the Russian school and portraits [italics — T.Yu.]"2. 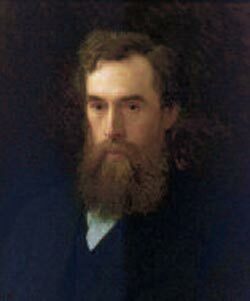 He wrote about his initiative quite modestly, while regarding the plans he was nurturing in the late 1860s-early 1870s as a project of immense proportions: "I am adding to my collection of 'Russian paintings' portraits of our writers"3. Certainly, Tretyakov's attitudes to the gallery of portraits and its place in the nascent museum of Russian art would change over time. The reason for such changes was a gradual and quite consistent expansion of the goals he set himself while carrying out such activities. 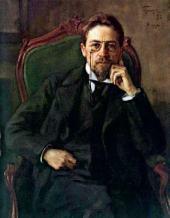 The portrait gallery was nearly 30 years in the making: the first commissions, undertaken specially for the collection of images of "the best of the people", were placed in 1869, and the last portrait was bought in the year of the collector's death (Osip Braz, "Portrait of Anton Chekhov", 1898). But this does not mean that there were no hurdles along the way and that everything developed according to the collector's plan. On the contrary, the project stalled at times, and the realisation of Tretyakov's plan took longer than expected, proceeding in fits and starts. Some of the years were very "plentiful". Some portraits turned out well straightaway, but certain ideas were not realised. Several portraits were left unfinished. There were delays, and all sorts of circumstances intervened: the short duration of daylight in St. Petersburg in the winter was one problem; the busy schedules of particular individuals (including their absences from Russia) or the complications of their characters another. The sitters offered all manner of excuses — the lack of "a good mood or at least peace of mind", "genuine" modesty and "the conviction that what I [Ivan Goncharov — T. Yu. ] do has nothing very remarkable in it..."4. Sometimes Tretyakov would spend years trying to have a particular portrait accomplished. The largest and perhaps most noteworthy series of commissioned painted portraits was created at the initial stage of the project, in 1869 and the first half of 1870s. In the second half of 1870s and the first half of 1880s the commissions and acquisitions continued, but the pace slowed appreciably This was perhaps occasioned by a principled change in Tretyakov's collecting: "...I set out to collect artwork of the Russian school such as it is in the course of its evolution"5 — that was how, in 1879, Pavel Tretyakov summarised the vector of his gallery's development. His words convey his vision of the next stage of his collecting policy, his new understanding of the goals, and his acknowledgement of the new quality of the collection, whose prime goal now was to reflect the history of Russian art. Soon he ordered the construction of a new wing for the gallery, which led to considerable changes in the arrangement of the items on display. Whereas earlier, as an observant contemporary remarked, the portraits in Tretyakov's gallery were "hung in a disorderly fashion both beneath and above", now they were "grouped by the artist", "chronologically", so as to draw the viewers' attention to "a particular artist's manner"6. Contemporaries also noticed the changes at Tretyakov's gallery: the shift from the sobornost (collective nature) of the portraits to individual personalities. From then on portraits of individual writers or public figures would be displayed in the context of the work of the artists who portrayed them. The "historical and chronological" and "monographical" principles of the arrangement of paintings in the 1882 display conformed to the declared principle of collecting Russian artwork to keep track of its evolution. In the second half of the 1880s and in the 1890s Pavel Tretyakov slowed the pace of his portrait purchases, becoming more interested in other genres, and he now only rarely commissioned portraits. He made an important statement: "My personal opinion is that in the art of painting one cannot but regard painting as the mainstay"7. This statement demonstrated the thrust of his aesthetic and artistic reflections at the period, reaching its height in the 1890s, when Russian art became focused on genre scenes — a trend about which Tretyakov had mixed feelings, although he has long been regarded as a collector of precisely the artwork of the "Peredvizhniki" (Wanderers) circle. 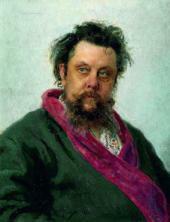 Soon Tretyakov said that he completely concurred with Ilya Repin8 in the indifference to "good intentions" in art, that "in the art of painting" painting was the mainstay and he was ready "to admire any little piece if it is finely crafted, and those who love the art of painting itself cannot feel differently..."9. Soon after embarking on his portrait project, in 1869, Tretyakov began to form a special section of portraits and self-portraits of the artists who represented the "face" of Russian art of the new times. This section contains images not only of masters who earned recognition among their contemporaries but of other cultural figures as well, such as teachers from the Academy of Fine Arts and the Moscow School, or talented artists of the past, "the old masters". As a great admirer of music (who could attend as many as 20 concerts and opera performances in one month), Tretyakov was committed to putting together a series of portraits of musicians and composers, apparently choosing those whose work he considered original.11 Among the first such portraits he commissioned was that of Alexander Dargomyzhsky. We do not know the years when Tretyakov acquired the graphic images of the popular Russian guitar players Andrei Sikhra and Semyon Aksyonov, the popular romance composer Alexander Alyabiev or Alexander Gurilyov, a pianist and composer who put together a collection of Russian folk songs and was himself the son of a serf musician. Tretyakov had several graphic portraits of Mikhail Glinka12 in his collection, and in 1887 he commissioned from Repin a painted portrait of the composer "when he was working on the opera 'Ruslan and Ludmila'", the collector's favourite. Pavel Tretyakov was not the first to set up such a collection of portraits of prominent Russian personalities. His gallery had forerunners not only in European but in Russian art as well: a collection of portraits called the "Preobrazhenskaya Gallery", whose collectors were unknown, can be considered as one of its precursors. It held images of the so-called "All-Joking, All-Drunken Synod of Fools and Jesters", a club initiated in the late 1680s-early 1690s by Peter the Great. Such a comparison might seem rather far-fetched. But the idea itself to put together a gallery of portraits of the soboryanins (revelling councillors), in the opinion of the distinguished researcher Lyudmila Markina, was obviously a grotesque imitation of the traditional portrait galleries of the Ryurikovichs and Romanovs focused on the "first persons" by virtue of their high position in the state hierarchy. In Russian art, the Preobrazhenskaya series, conceived by Peter, was perhaps the first ever to feature a group of associates and like-minded individuals. Indeed, many models participated in military campaigns, held state positions, or came from noble Russian families. The portraits of the "soboryians", as they are often called by historians, feature members of what may be called Peter's "fellowship" fighting in battle, conducting the affairs of state and participating in the Tsar's pranks and antics. All portraits are similar in size and have a similar composition, with subjects pictured in half-figure, against neutral backgrounds, and the images feature explanatory inscriptions. Repin was the first to define Tretyakov's models by this common denominator, pointing to the ethical factor as their dominant feature. Seen in this way, the composition of the collection, far from being random, is quite regular, well thought-out and based on selection. Talking about a systematic collection, Repin may have meant Vasily Dashkov's assemblage of portraits of famed Russians, which the owner donated to the Rumyantsev Museum in 1882. The Dashkov collection included images of Russian royals, military chiefs, high-ranking officials of the state, writers, artists and scholars. Tretyakov did not set strict rules for the artists whom he commissioned with regard to the size or composition of the portraits, yet he stepped in to direct their work, especially when an artist needed help searching for historical truth about his model. Tretyakov took charge of this important and difficult task, which obviously sparked his enthusiasm at the beginning. In the first years of his project he placed many commissions and worked with artists as they sought an appropriate visual vocabulary. Tretyakov tried to participate in the creation of every portrait, maintaining correspondence with the sitters-to-be, making arrangements for sittings, organising meetings, and felt distressed when something fell through; he reminded, insisted, advised and worried. 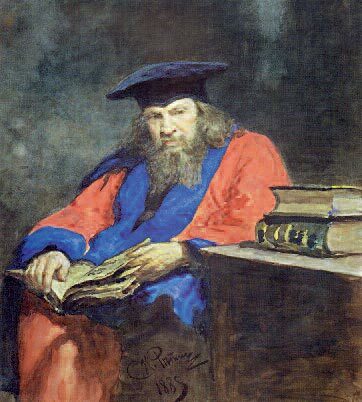 Tretyakov paid much attention to the historical authenticity of posthumous portraits, elaborating together with the painters many elements and important details of the future images — he was concerned not only about external resemblance but most of all about the resemblance to the "creative personality". He took charge of the search for lifetime images, both painted and literary, and browsed the memoirs of contemporaries. There were neither strict rules nor a canon to adhere to. The models were mostly depicted in a sitting position, casually dressed, without medals or orders — in short, free of regalia. The portraitists never highlighted their models' achievements as servants of the state or professional trappings; the painters' foremost goal was to find and convey "the individual's driving idea", his highest realm which was manifested not through talent, intelligence or even character, but through the inner potential of the man aspiring at "general welfare". Much has been written on this aspect. Tretyakov would discuss the type of the portrait (full-figure or head-and-shoulders only, with or without arms, its background neutral or otherwise). The size of the portrait was usually life-size. Tretyakov cared about such matters as whether the sitter would be depicted outdoors or inside a house, about the accessories around the sitter, his clothes... But that was not the most important thing — he demanded more than that. 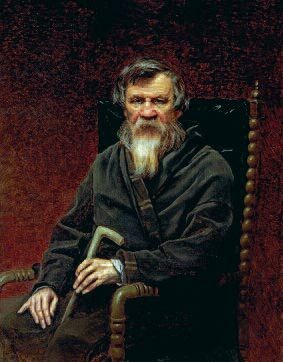 "Aksakov was an artist in spirit," he instructed Kramskoi, "he passionately loved nature, literature, music, theatre; he preserved his love for all this until old age; he loved and knew how to use everything that God's Earth gives us — to use without harming his near and dear ones — and this is why he was able to preserve until old age a clear, calm and cordial frame of mind"14. Tretyakov enthusiastically participated in the creation of a portrait, moulding it to suit his vision. In his letters he gave opinions, criticised, made demands and looked for new aspects. When a portrait was finished, he would urge people who remembered the sitter to come and see the piece, and to evaluate the resemblance; if the portrait was poorly received, it would be reworked. Many such commissioned portraits were left unfinished because they did not satisfy the collector (all such interesting details of Tretyakov's collecting activities can be traced in his correspondence and in the works of art historians). There are usually several cultural and historical explanations offered to explain Tretyakov's interest in creating a portrait gallery, among them the broadening of horizons both of historical thinking and of individual self-awareness. The most interesting subject to explore in the history of Tretyakov's portrait project is the personal dimensions of collecting itself. Putting together his collection of portraits, Tretyakov, consciously or not, reflected in his choice of subjects himself, his literary, aesthetic and moral preferences, as well as his personal viewpoint and his perspective on society. It is revealing that in different years he became interested in different figures who were carriers of certain values — such changes reflected the trajectory of ideas across the century as well as the gradual shifting of dominant ideas in the public mind. Quite how many pieces the Tretyakov collection of portraits had is an open question: the Tretyakov Gallery's 1898 catalogue, which the collector was compiling during the last year of his life, counts portraits in his collection in general, and the commissions for portraits he placed, but it would be hard to say exactly which were portraits in the explicit sense, and which were bought as examples of consummate craft. In a number of commissioned portraits the personality chosen and the professional level of execution were equal — among them images of Russia's cultural luminaries such as Dostoevsky, Tolstoy, Mussorgsky and Levitan superbly crafted by prominent Russian artists like Perov, Kramskoi, Repin and Serov. Unarguably, these names — both of the portraitees and the painters — are imprinted in the history of Russian art for eternity. The collection of portraits includes images of some personalities who left a mark in the history of Russian culture, but did they correspond with Tretyakov's notion of "the fatherland's best sons"? For instance, the watercolour portrait of Count Alexander von Benckendorf15 — was it acquired because it featured the chief of the secret police (the Corps of Gendarmes and the secret police of the Third Section of His Imperial Majesty's Own Chancellery), or as a creation of the prominent watercolour painter and society portraitist Pyotr Sokolov? We believe that the choice of sitters to be the most important issue. What were the criteria for selection? First of all, it was the collector's personal choice reflecting his views on the place of one or another public figure in the pantheon of Russia's best people that he was creating. Tretyakov could not fail to realise the need for including a particular personality into the "select few", the group of persons that "the nation holds dear to its heart", the cohort of prominent figures of the age recognized both by intellectual elites and the wider public, and by the viewers for whose good the museum of national art was being established. The choices Tretyakov made in assembling his collection of portraits are one of the most interesting subjects for researchers to study. "Building up" a portrait of the nation, he gave priority to, and preferred, the men of letters who set moral standards for the growing nation. The listing of the outstanding portraits justly includes Perov's image of Fyodor Dostoevsky, who by 1872, the year in which the portrait was created, had already published such novels as "Humiliated and Insulted", "Crime and Punishment", "Notes from Underground" and "The Devils"; an image of the political emigre Alexander Herzen (by Nikolai Ge, 1867), who was banished forever from Russia by Nicholas I; the "citizen poet" Nikolai Nekrasov; and the satiric author Mikhail Saltykov-Shchedrin. 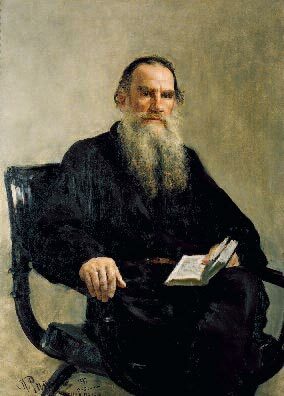 By the time Kramskoi was working on his portrait of Leo Tolstoy in 1873, the writer had already published "War and Peace" and begun "Anna Karenina". These sitters were undoubtedly national heroes of the age. Today the significance of Pushkin and Gogol in Russian culture is beyond dispute. It should be remembered, however, that in the 1850s-1870s they were the focus of the most heated literary debates between proponents of radical trends, and champions of the theory of "pure art". Opinions about these writers were diverse and often far from unequivocally positive. A critical discussion of Pushkin and his heritage began in 1855, the year when Pavel Annenkov published an edition of the writer's collected works. 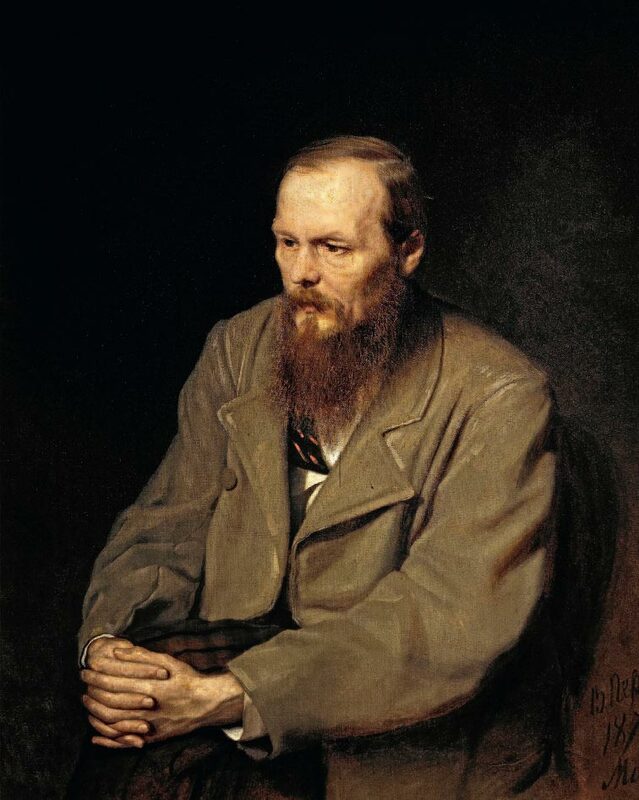 The clash of different literary groupings in the famous discussions going on in the 1850s-1860s was largely provoked by the "ambivalent stance" of Vissarion Belinsky, "the first and foremost" literary critic of the 19th century who, on one hand, claimed that Pushkin was Russia's foremost poet, but on the other was critical about the "content" of the poet's oeuvre. The group of literary critics who were also social commentators, the so-called utilitarianists headed by Nikolai Chernyshevsky, taking Belinsky as their figurehead, argued for the superiority of the "Gogolesque", satirical trend over the "Pushkinian". Alexander Druzhinin, an advocate of the theory of "art for art's sake", said that Pushkin was the ideal of a true artist and called Annenkov's publication "the great writer's first memorial created by the progeny" all the while denigrating "Gogolian" writings. In the trend to deify Pushkin the radicals detected dictatorial inflections indicating an attempt to impose a point of view which threatened independent thinking and freedom of speech. 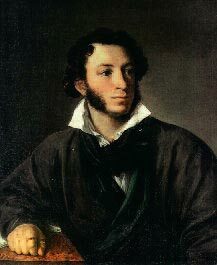 A critic in "Otechestvennye Zapiski" (Annals of the Fatherland) magazine refused to recognise Pushkin as a national poet: he was accused of "spitting on Pushkin's tomb"16. Dmitry Pisarev made an attempt to "unseat" Pushkin "from the pedestal" and achieved much in the fierce struggle against aesthetics, which resulted in a rebellion against the imposed opinion-leaders and an attempt to make the public reconsider traditional values. Russians were then looking to the new "thinking man" who placed reason and usefulness above outdated role models. Pushkin was also castigated from the positions of Orthodox Christianity — critics claimed that he was under the sway of false atheistic, egoistic and immoral European values which were an upshot of Peter the Great's undertakings. By 1872 the dust of such literary debates had settled, and enthusiasts began collecting funds across Russia for the first monument to Pushkin in Moscow (unveiled in 1880). 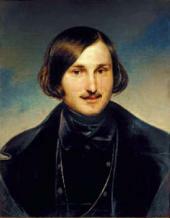 It was against this background of "fermentation and confusion" in public opinion that Tretyakov in the early 1870s acquired portraits of Russian writers who were quite controversial at their time, but are now regarded as iconic figures, such as the image of Nikolai Gogol by Fyodor Moller17, and of Alexander Pushkin by Vasily Tropinin18; he also commissioned a portrait of Vissarion Belinsky from the painter Kirill Gorbunov19. Recently released archival documents confirm that the Tretyakov brothers in the late 1860s-early 1870s participated in the Slavic Philanthropic Committee20, whose ideological leader was first Mikhail Pogodin, then after Pogodin's death, Ivan Aksakov. The committee's goal was to educate and assist the Southern Slavs, who were under the control of the Ottoman Turks. The committee's main mission, as its members saw it, consisted in educational and philanthropic initiatives alondside ensuring comprehensive support for the Orthodox Christian Church in Slavic lands. There is an interesting coincidence here. It was in that period, beginning from the late 1860s, that Pavel Tretyakov commissioned for his portrait collection a whole series of images of "quite peculiar individuals"21 , in the words of Grigory Sternin. The series includes images of Alexander Ostrovsky (1871), Vladimir Dahl (1871), Fyodor Dostoevsky (1872), Apollon Maykov (1871), Alexei Pisemsky (1869), Mikhail Pogodin (1872) and others. None of these writers belonged to the "new people" who were role models for the radical wing of the Russian democratic movement of the 1860s. Furthermore, at the same period Tretyakov commissioned portraits of Mikhail Glinka (1869), Ivan Goncharov (1869), Alexander Serov (1870), Alexander Dargomyzhsky (1869), Fyodor Tyutchev (1873), Alexei Tolstoy (1874), Pyotr Vyazemsky (1874) and other cultural figures. These individuals gravitated towards pochvennichestvo, or nativism — to the circle of "indigenous" writers, historians, philologists and musicians whose interests were focused on the "native soil", ethnic, autochthonous roots, and on study of old Russian culture and folklore. The nativists championed development of industry and commerce, individual freedom, and the freedom of the press. All of them in one way or another subscribed to the main tenets of Slavophile philosophy believing that "Europe is on a wrong track", criticising Europe for its bourgeois spirit and soullessness, rejecting revolutionary, socialist ideas and materialism: they advocated Christian ideals as the antidote. But for all that they did recognise many European values and achievements. They put forward moral demands introducing the "ethical criterion" into political life and the Slavic Committee's programme: their vision of a national politics was of Russia managing its affairs in Europe relying on Slavic people, because Russia's foreign policy towards Slavs was not self-seeking, unlike the policy of other European nations. This Slavophile group included its ideologist Mikhail Pogodin, as well as Fyodor Tyutchev, who at various times spoke up for Slavic causes and incurred the displeasure of the government, and many others. Some of them gravitated towards the conservative league. Mikhail Katkov22, whose portrait Tretyakov tried but failed to commission for his gallery in the period between 1872 and 188623 was a member of the Slavic Committee. 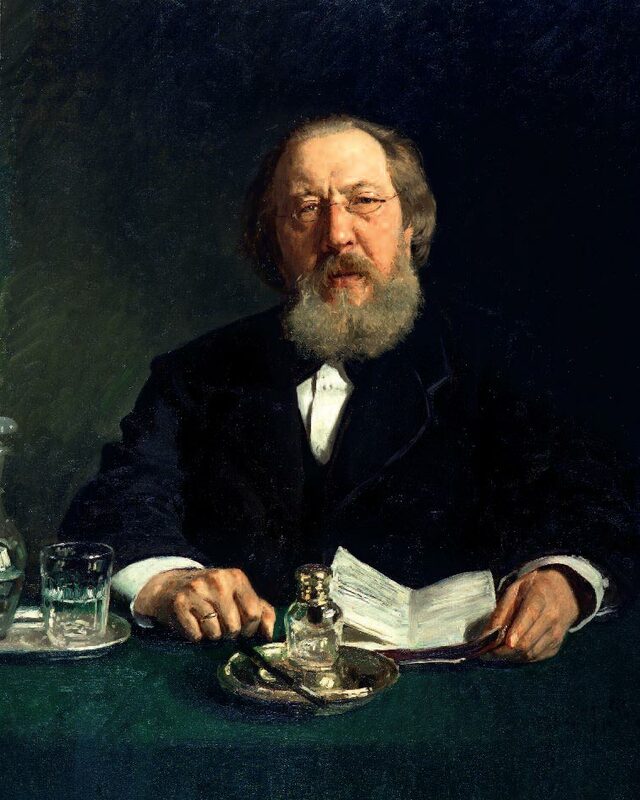 In the early 1880s the collector's proposed commission was resolutely turned down by Repin: he would not portray a notorious "mossback" such as Katkov, who "lashed out at everyone daring to express himself freely"24. Some researchers have already paid due attention to this fact25. One is led to believe that it was not a matter of chance that the Tretyakov brothers began to participate in the Slavic Committee in the late 1860s as Pavel Tretyakov was setting about collecting portraits; most likely, this points to his ideological affiliation with Slavophile and, more generally, nativist trends of Russian thought at that time. Even many years later Tretyakov continued to commission and collect portraits of people close to Slavophile circles. Thus, in 1878 he commissioned from Repin a painted portrait of Ivan Aksakov (now at the Tretyakov Gallery), a leader of the Slavophiles who was banished from Moscow for speaking out against the government. "I either do not know or don't remember Vladimir Zhemchuzhnikov's portrait26; as a man of letters, he is not important for my collection. By the way: neither you nor Repin had a chance to paint Gorbunov, whereas he is sometimes a great artist,"27 the collector wrote to Kramskoi in 1884. It was hardly a matter of chance that Tretyakov commissioned a portrait of Ivan Gorbunov, who was a writer close to the "young editors" of the "Moskvityanin" (The Muscovite) magazine and to Alexander Ostrovsky, and also an actor first employed by the Maly Theatre in Moscow and then by the Alexandrinsky Theatre in St. Petersburg. Gorbunov, who earned fame with recitals of his own short stories, knew Russian history and folk music very well, had a perfect command of Old Russian and Church Slavonic languages, and was an associate member of the Society of Lovers of Ancient Writings. He was held in high esteem by Dostoevsky and Turgenev, Ostrovsky and Mussorgsky. Tretyakov envisioned a life-size portrait featuring "Gorbunov as he recites on a stage"28 — it was never to be made. Tretyakov felt elated every time his choice hit the mark. Enthralled by the composer Alexander Serov's new opera "The Power of the Fiend" that he had just seen, Tretyakov wrote to his wife: "Yes, I was right in deciding that a Serov portrait should be added to our collection, but the piece29 did not turn out satisfactorily; I want a better image of him! "30 Some of the new portraits added to the collection were fairly mediocre, causing much regret to the collector, but his reactions on such occasions differed. Some images remained in the gallery, as was the case with the portrait of Tretyakov's beloved composer Alexander Serov created by Ivan Keler-Viliandi in 1870. On some occasions the collector reassigned a portrait to a different artist and, when the image was completed, got rid of the piece of the failed work. But he also happened to commission and buy several painted portraits of one person at once. As is well known, Ivan Turgenev's portrait31 was commissioned several times — in Alexandra Botkina's words, "Pavel Mikhailovich strove for a resemblance with his own mental image of Turgenev. Pavel Mikhailovich met with Turgenev, was acquainted with him, and none of the portraits satisfied him sufficiently." 32 Eager to have a "worthy" image of the writer, Tretyakov enlisted the services of many painters: Vasily Vereshchagin, Keler-Viliandi, Apollinary Goravsky, Vasily Perov, Repin, Karl Huhn and Kramskoi (the last two refused). Assembling his gallery of portraits, Tretyakov stepped over the boundaries of art collecting in the sense that at first the choice of subjects mattered much to him; as the years went by, however, he moved in the opposite direction, becoming more focused on representing the wide range of Russian national art in its development. In the 1890s Repin published his "Letters from Abroad", arguing that painting had worth by itself as an art form. The portrait of Dargomyzhsky was produced by Goravsky, but Pavel Tretyakov disliked it and in the same year bought (or commissioned — this issue has not been clarified) the portrait from Konstantin Makovsky (1869, Tretyakov Gallery). Works of the artists Mikhail Terebenev (watercolour, 1824, Tretyakov Gallery), N. Stepanov (Tretyakov Gallery), Apollinary Goravsky (graphite on carton, 1869, Tretyakov Gallery), N. Volkov (1837, transferred to the All-Union Pushkin Museum). Pyotr Sokolov. 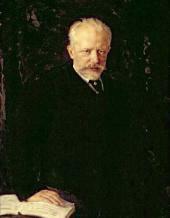 Portrait of Count Alexander von Benckendorff. 1835. In 1940 it was handed over to the All-Union Pushkin Museum. Accomplished in 1840, the portrait was acquired by Tretyakov in 1870 and since 1930 has been held at Ivanov Regional Art Museum. 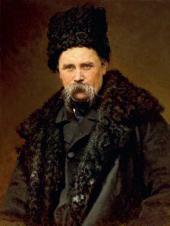 Accomplished in 1827, the portrait was acquired c. 1873, and since 1940 has been held at the All-Union Pushkin Museum. Accomplished and acquired in 1870, in 1885 the portrait was gifted by Tretyakov to the Radishchev Museum in Saratov, which was founded by Alexei Bogolyubov, now the Saratov Art Museum. Vladimir Zhemchuzhnikov was one of the trio of authors writing under the collective pen-name Kozma Prutkov. Reference to Keler-Viliandi's portrait of Alexander Serov (1870, Tretyakov Gallery).